Olivier Blanchard » Focus On Business » IBM Just Made Cognitive Computing And Advanced Analytics Accessible To Everyone. IBM Just Made Cognitive Computing And Advanced Analytics Accessible To Everyone. Remember a few weeks ago when I wrote about the future of business analytics and how it wasn’t where most people thought it was? Here’s the follow-up, and it’s kind of big because now it isn’t somewhere out there anymore. It isn’t just available for the select few. 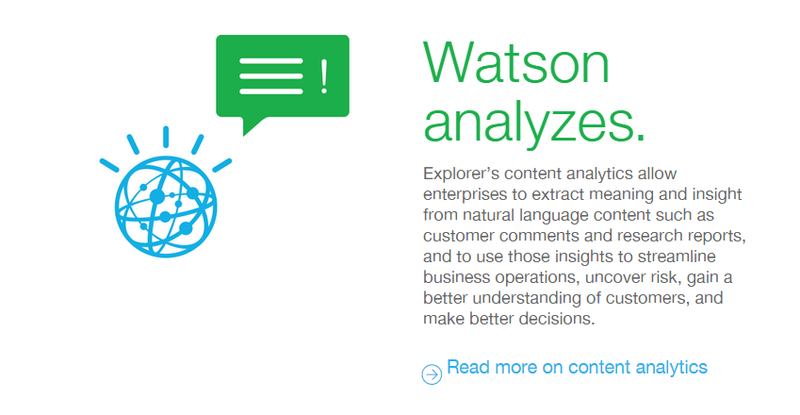 IBM just made Watson Analytics accessible to pretty much everyone. If, like me, you’re an IBMer, or you have been paying close attention to all of this, you already know what this is and what it means. Carry on. 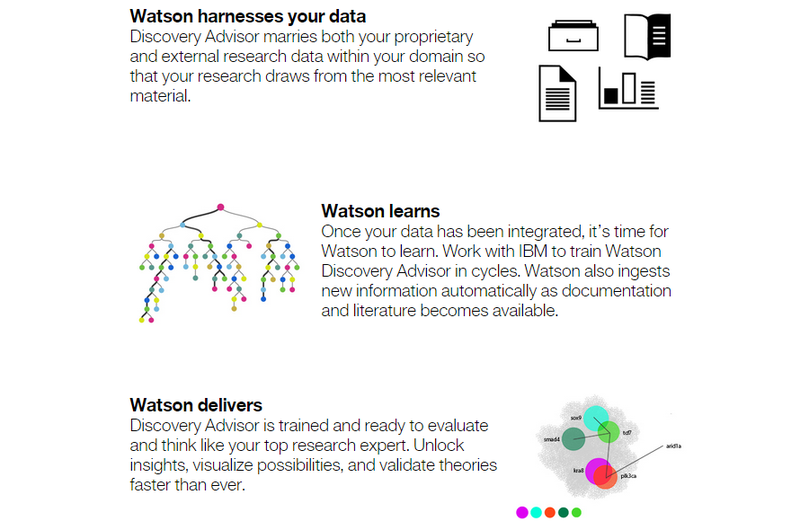 (Or share this with peers and friends who might not have any idea that they can now use Watson to do all sorts of things their department or organization didn’t even know they could do.) If you aren’t an IBMer and don’t know what in the world I am talking about, or who this Watson guy is, or why this is a big deal, read on. If you’ve heard of Watson, it is probably in conjunction with its well publicized appearance on Jeopardy. As cool as that is, Watson is a lot more than just a Jeopardy-busting supercomputer. Watson is a learning computer. It isn’t even a “computer,” really… it’s a lot more than that. It’s a cognitive computing platform. It uses natural language to interact with users, to learn, and to express itself. Watson is being used to solve a growing spectrum of problems, from curing cancer (accelerated research) to looking for predictive modeling insights into consumer needs. Moreover, the Watson ecosystem, leveraging the cloud, is now scalable like never before, which brings us to IBM being able to make Watson accessible on a scale never attempted until now. So here’s the big news in case you missed it: Up until now, it was pretty difficult to get access to Watson. The analogy I heard over the weekend was that Watson was a bit like the Pharell Williams or the Will.i.am of cognitive computing: big star, super talented, everyone wants to work with him (well… it) and hang out, but… you know, there are only so many hours in the day and there’s work to be done. Watson was pretty focused on some really sweet projects, but the rest of us common mortals just sort of had to enjoy the fruits of Watson’s labors from the sidelines. Well, no more. IBM has decided to kick the velvet rope to the curb and let everyone have access to some of Watson’s capabilities in an open beta. You can also check out this press release for more info. Welcome back! I have more good news: the beta is currently free. (Well… it’s a freemium model, but that’s still a pretty sweet deal.) Go ahead and dance some more if you want. I won’t judge. Welcome back. Okay, now let’s get to some of the meat and potatoes of this thing. If you want to skip ahead of the class, you can go here to find out all about Watson and explore Watson’s pretty rich ecosystem all on your own. 1. For starters, Watson will help you crunch your data in ways that will blow your mind. Note: you can click on any of the above images for more info. Note: go ahead and click on that green box to read more. 3. What if you need a little help with research? 4. 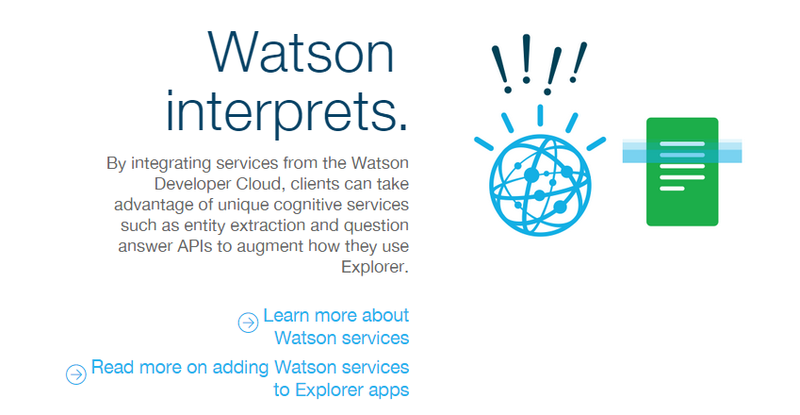 You can also use Watson as a platform to build a new generation of super awesome apps. 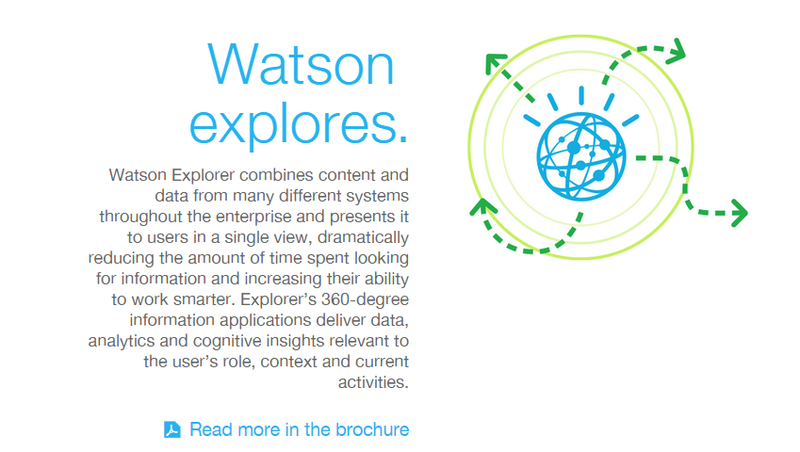 So here’s the thing: You can click here to start exploring the world of Watson Analytics, you can already go hang out (or lurk) on the Watson Analytics discussion boards, and/or you can click here to go explore (and hopefully join) the growing developer community that is already building tomorrow’s killer apps and solutions. It doesn’t really matter if you’re trying to build (or find) a better social media monitoring app, or if you’re doing medical research, or looking to create real-time heat maps of the impact of memes on hate speech, or trying to predict who in the 29601 is probably hungry for pizza right now (and determine how far they may currently be from your pizzeria). Whatever your project’s focus: curing cancer, ending world hunger, alleviating traffic congestion, understanding your customers better or just building wicked smart-home apps, you now have access to a brand new sandbox. Whether you have innovation in your blood or understand the need to stay a step ahead of your competitors, you owe it to yourself to dig into this. Remember a few weeks ago when I talked about humanity entering a new era of accelerated innovation? This is part of that change. This is one of those moments, when we’ll look back and say this was one of the big first steps into what happened next. I’m pretty sure I have already linked to everything you need to read, so now it’s really about walking you to the front door. 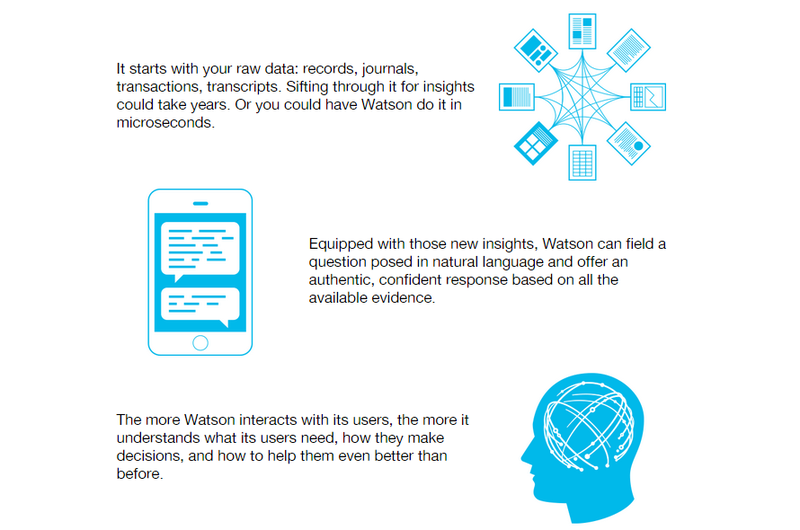 To get started with Watson right now, just click here. All right, that ought to do it for now. Go forth and… build something amazing (or just use the beta to find ways of increase your sales and be your company’s new hero – whatever floats your boat). It’s 100% up to you what happens next. If you do end up doing something really cool with this though, let me know. I’d love to hear about it. Want to let Watson look at your DNA and give you health advice? Want to see how Watson could help completely rethink travel? Want to see how Watson can help you score more client work? Want to let Watson create recipes for you out of scratch? Want a smarter, cooler, better digital assistant than Siri? Want Watson to help you with customer support?